Fiat Ireland is increasing the warranty on the range to include the recently-launched Fiat Fullback pick up and the Talento van, from three years to five for all Fiat Professional models ordered by July 31. The offer is included on the new Fiat Professional Fullback pick-up with prices starting from €25,625 plus VAT and dealer related charges for the SX version. It is available as a double cab only and with all-wheel drive as standard on all versions. Fiat says the rugged Fiat Professional Fullback has the upmarket appearance of a sports SUV with its swept-back fascia, chunky front bumper, and roomy cab-forward layout. It adds that the interior combines the functionality of a work vehicle with the comfort and elegance of a luxury vehicle with an attractive and ergonomical design, and comes with a two-tone black and silver dashboard, supportive and comfortable seats, and impressive rear passenger room. In Ireland, customers can choose the 2.4 150hp SX, 2.4 180hp LX or the 2.4 180hp LX automatic. The power and torque outputs of the LX version are increased to 180hp and 430Nm, while the full-time four-wheel drive system has four electrically controlled settings — 2H, 4H plus 4HLc and 4LLc — with a locking central differential for improved traction. Its official combined-cycle fuel economy figure is 42.2MPG (6.6L/100km ) and its CO2 emission figure is 173g/km. 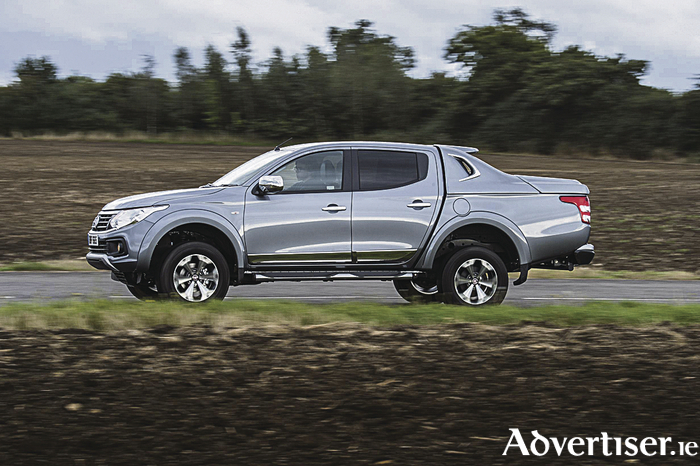 The Fiat Professional Fullback has a one-tonne payload with a bed length of up to 1.52m, 3,100kg un-braked towing capacity (2,700kg for the SX model ) and a best-in-class turning circle. Standard equipment on the SX version includes remote central locking, electric windows and mirrors, Bluetooth connectivity, DAB digital radio, a leather-trimmed steering wheel and gear knob, steering-wheel mounted remote audio controls, air conditioning, start and stop, front fog lamps, a tubular side step and comprehensive safety equipment, including seven airbags, advanced ESC with ASR, trailer stability assist, LED DRLs, hill start assist and cruise control with a speed limiter. Is your car in top form and ready for the holidays?